Free review of your Revenue Cycle Management, including actionable steps you can take to improve it. Free assessment with a proprietary analysis tool that can generate a detailed report outlining solutions for virtually every aspect of your practice. Having payment delays can significantly affect the cash flow and the profits of private medical practices. 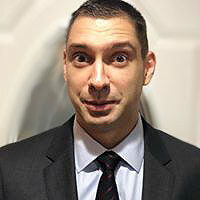 Allow Georgi Georgiev, CMRM asses your process and show you how to save time and improve your cash workflow. Find out how we can help you solve these problems. 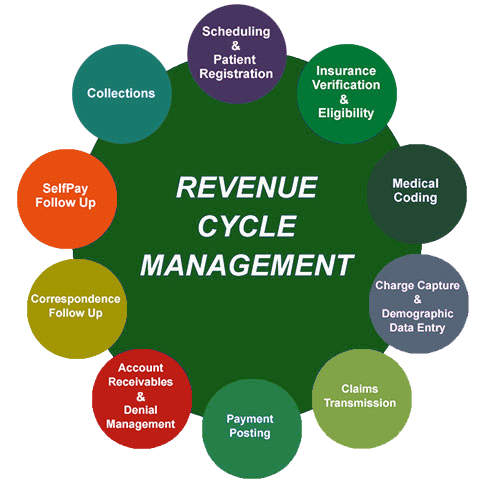 The revenue cycle management of private practice is essential to the practice’s financial wellness. Collecting payments from your patients and insurance carriers fast and efficently is what we do. Do Clothes Dryer Lint Traps Need Special Care? Yes, clothes dryer lint traps need it especially if you like to use the clothes dryer sheets for fragrance, static control, and softening. Dryer sheets leave a residue on the lint screen. This cause the appliance to overheat! Dryer sheets have a thin layer of chemical lubricant, which is electrically conductive, resulting in softer feeling clothes and reduced static electricity because the chemicals target electrostatic charges. A misconception about how static builds up in a clothes dryer is that a properly functioning appliance will prevent static! Meaning you do not need to use dryer sheets to control static cling. Most modern dryers have an array of sensor technologies that help care for your clothing and save energy. One of them is the humidity sensor. In automatic mode, the appliance will shut off before static can begin. Remember… water cancels out the electricity. So, static build-up starts after the close are dry, and the machine keeps running. This is not good for the clothing and will cost more to operate. Wear natural fabrics to avoid static cling. Clothing made from polyester and lycra, are prone to static. Wear natural fiber clothing, which doesn’t get static cling. For softness, add vinegar to the wash. Try substituting vinegar for fabric softener. Just add a half-cup of white distilled vinegar to the rinse water of the laundry cycle. Use an eco-friendly fabric softener. There are many alternatives like, green fabric softeners that made with natural scents or are scent-free. You may also consider liquid softener in the wash cycle. Many consumers report excellent results when they toss a couple of dryer balls in with each load in the dryer. They soften fabric with their nubby texture that helps fluff up the fibers. The benefits of cleaning your dryer vent. Maintaining your Clothes Dryer Vent Ductwork with annual cleaning will save money and time doing laundry. The TLK Professional Dryer Vent Cleaning includes End-to-End Cleaning, Dryer Airway, and Transition Cleaning. Schedule a Dryer Vent Cleaning or Vist or Clothes Dryer FAQ page. 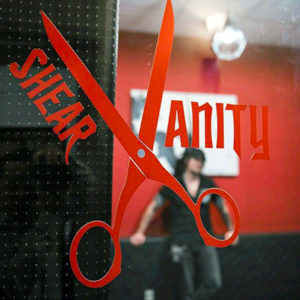 SHEAR VANITY – Jason D.
Jason is a hairstylist unlike any you have ever had. 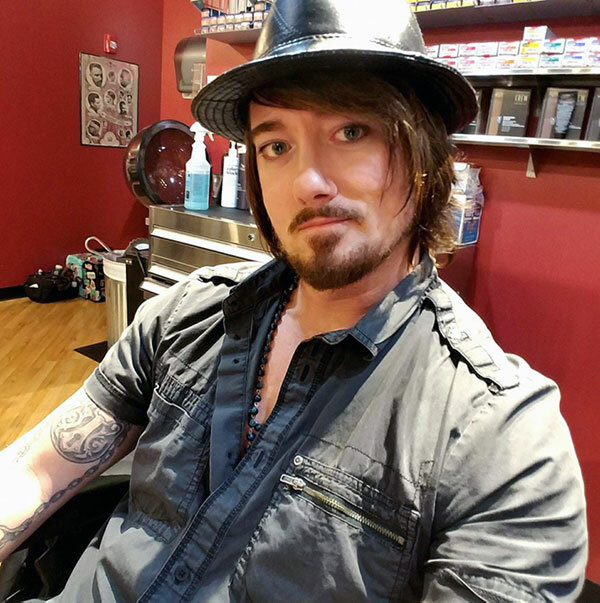 In addition to being a hairstylist, he is the sole owner of Shear Vanity. For years he has given back to the community and shown his appreciation for his craft by giving free haircuts regularly at a homeless shelter. Having built an impressive clientele at previous salons throughout his career as a hairstylist he has been blessed with the opportunity to open his own little shop. Specializing in Men’s and Women’s Classic and Trendy Haircuts. Dryer Vent Cleaning Coupon $15 OFF! Let’s Get Those Clothes Drying Fast Again! Schedule Now! 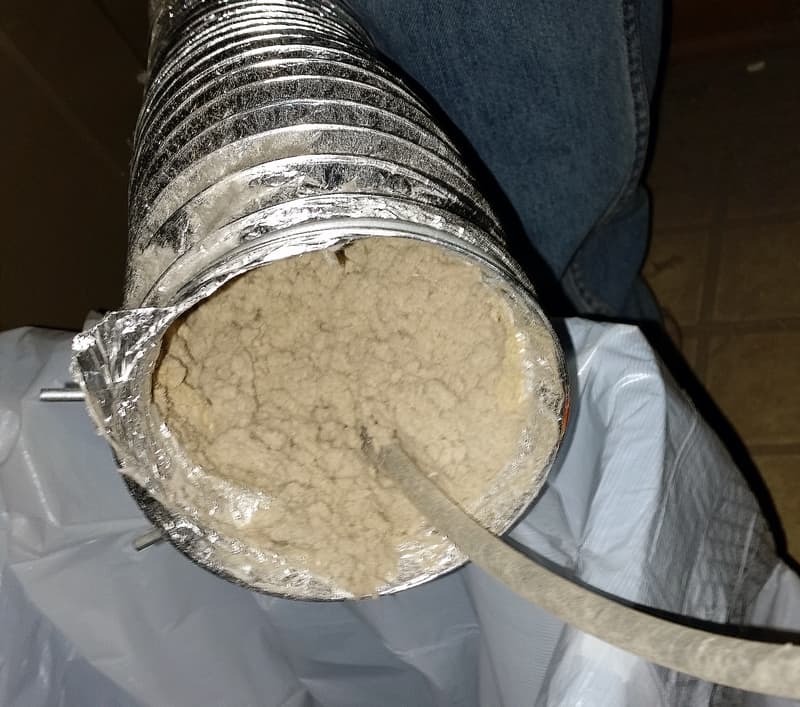 Why You Should Schedule a Dryer Vent Cleaning Today! Maintaining your Dryer’s Vent with annual cleaning will SAVE MONEY! What is your Clothes Dryer Costing you? Buying a New Clothes Dryer? 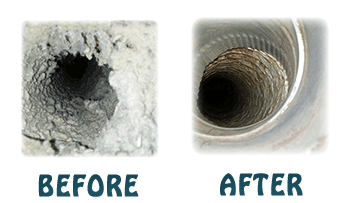 Dryer vent cleaning removes clogged lint that builds up over time and restores the drying time to about 45 minutes. We also remove bird nests from any homes vent like; bathrooms, kitchens, and dryer vents. This How to Buy a Clothes Dryer Guide will help you find the right clothes dryer for your needs. There are already many sources of useful information on the internet. So this post is about consolidating the best of what we found for this year’s best clothes dryers. Finding the best clothes dryer to buy this year may not be as important as you think. But, recognizing the reason your buying a new clothes dryer is! Unfortunately, most homeowners learn an essential laundry room safety and energy lesson too late. Read this “Before You Buy a Dryer“. There’s a lot of information about clothes today, but this list will guide you through the specs and technical jargon as offer this authors insight. How to Buy a Dryer | Here’s what you need to know to make a smart, budget-minded decision. From Good Housekeeping Research Institute | Get the answer to some of the most frequently asked questions about clothes dryers. Choosing The Right Type of Dryer | CNET explores the most significant, boldest, and most energy-efficient machines with hints of the future with game-changing smart features. What You Should Know | The Spruce will prepare you for what you need to know about a clothes dryer and shorten your in-store time. Find the Right Dryer for You | Consumer Reports – dryer prices vary, ranging from about $350 to $2,000, depending on the type, capacity, and features. Unfortunately, most homeowners learn an essential laundry room safety and energy lesson too late. That’s because no one gets an owners manual when you buy a new home. And if you did most of us would not read it. Thus a fire hazard exists in all of our homes. It’s caused by a restriction of airflow in your clothes dryer’s venting ductwork. During ordinary use of lint, hair, and even pet fur gets past the clothes dryer lint trap. A lint trap allows, on average, 25% of the clothing fibers, hair, and pet fur to pass through it. 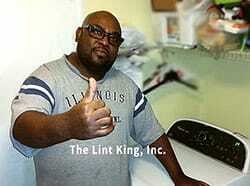 That’s how The Lint King Inc. can help. We provide dryer vent cleaning and repair in Northern Illinois. Digital Bumper Sticker advertising allows marketers and advertisers to reach and appeal to their core audiences in new ways and with more precision. 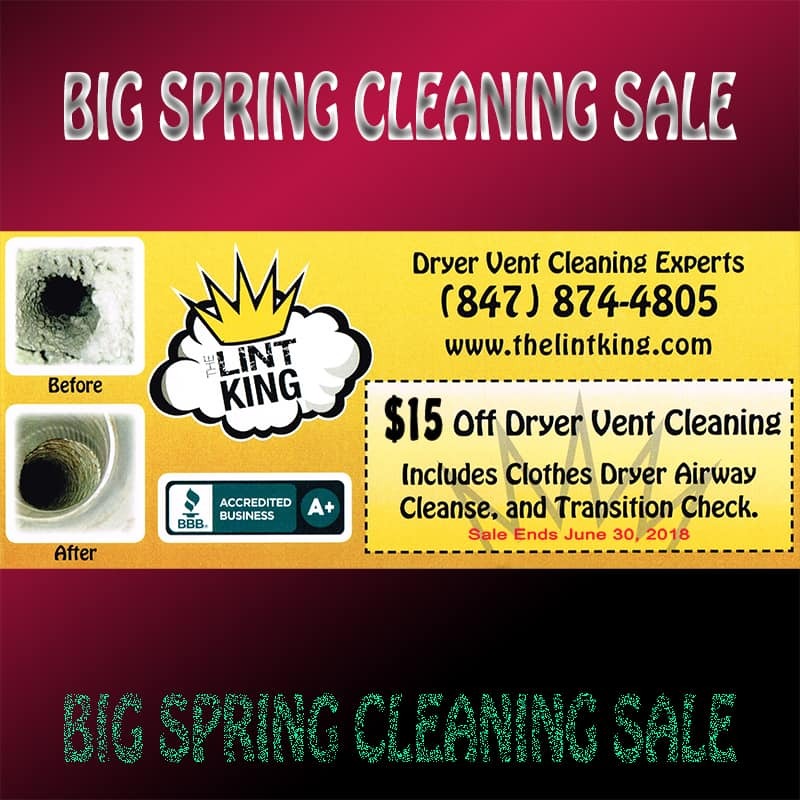 Local Dryer Vent Cleaning 15$ OFF – PRINT ME! It’s Paul from The Lint King is your Local Dryer Vent Cleaning Experts. 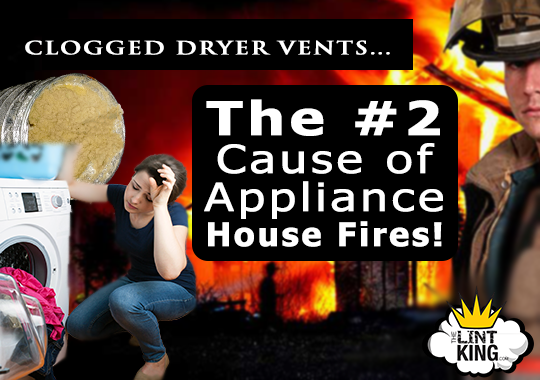 Did you know that dryer vent cleaning removes clogged lint, hair and sometimes fur? 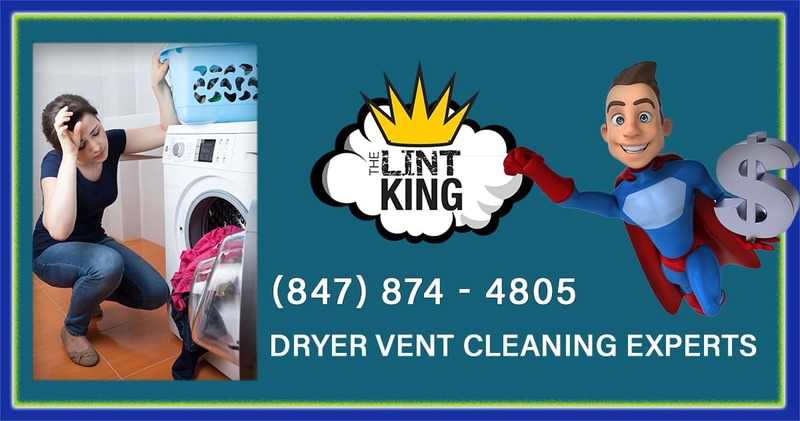 The lint King restores the drying time to about 45 minutes, which is normal. If you have to repeat a clothes dryer cycle, then there’s an airflow restriction. Still waiting for that load of Clothes to dry? We perform a Full Inspection before cleaning the Clothes Dryer’s Airways and Vents. Next, we clean out the entire Vent Pipe with End-to-End Rotary Brush and vacuum. Then a Clean Exterior Flaps. Lastly, we perform an Airflow Test! Benefit from your competitors by combining and visualize search engine marketing data to compare competitive domains and estimate keyword difficulty with just a few clicks. Launch global and local campaigns for your website and get all the necessary metrics regarding its competitors, keyword rankings, and on-page health. Knowledge of the ever-changing competitive landscape is crucial for your success in natural search across major search engines like ; Google, Bing, Yahoo. The Competitive Positioning Map provides you an instant understanding of your direct competitors. Based on domains’ natural traffic and the number of organic keywords. Find web rivals’ and your weaknesses and strengths on the web. The Organic Competitors Report lists domains your website is competing against in the Google or Bing top 20. By viewing such metrics as competition level, natural traffic per website, and domains’ common keywords, you will see where you are winning and the areas that need improvement. We offer clothes dryer vent cleaning coupons on TLK DEAL Page. Dryer Vent Cleaning takes about forty-five minutes and includes a full inspection before cleaning the Clothes Dryer’s Airways and Vents. Next, we clean out the entire vent pipe with End-to-End Rotary Brush and vacuum. Then we clean exterior flaps. Lastly, we will perform an airflow test. 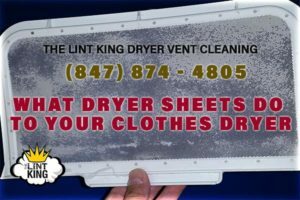 The Lint King services all of Northern Illinois and is based in Schaumburg Illinois. We have been helping educate homeowners about the many dangers that can arise from a clogged dryer vent and bird nesting in the vent. 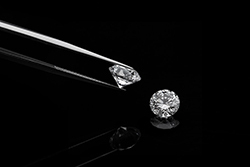 Our pledge to clients is that we will provide all our customers the highest quality service at the affordable price. We will provide our customers with the most courteous service and support in the industry. The Lint King is proud of the Rave Reviews illustrated by our testimonials that we’ve received from our TLK customers. Schedule A Dryer Vent Cleaning Today! Our Local Dryer Vent Cleaning services will keep your clothes dryer’s airways, and dryer vent pipe clean. Annual service will prevent build up that occurs over time. Did you know that shedding pets and hair, especially long hair, tend to accumulate in the pipening corners and were there’s screws. Schedule a Dryer Vent Cleaning and Get $10 OFF! 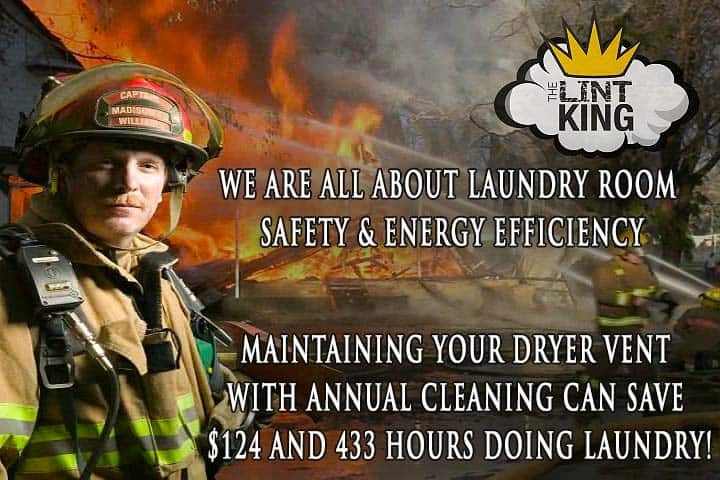 The Lint King offers 24/7 Scheduling and Same Day Availability! Let’s Get Those Clothes Drying Fast Again! Find the answer at What Does My Clothes Dryer Cost to Run? Dryer vent cleaning removes clogged lint that builds up over time, and restores the drying time to about 45 minutes, which is normal. We also remove bird nests from your home’s bathrooms, kitchens, and dryer vents. SEO TIPS From an Expert! © Copyright 2019 Schaumburg Rocks All rights reserved.